Softwaremee is proud to announce real time mobile phone spy software for Blackberry with live control panel. This powerful application gives you the ability to spy on your children, employee or your loved ones cell phone. You can spy on your loved ones calls, GPS location, whatsapp messages, text messages, internet activity by logging into Softwaremee spy account. You can also view all photos and videos taken or stored in phone too. After installing the software on suspected mobile phone you can save all calls, SMS, location and internet activities. This high-tech cell phone monitoring software will allow to monitor real time activities. Phone Call Info – Outgoing and incoming calls with number and duration and voice recording. Text Messages Logging – Every Text Message is saved even when Blackberry’s messages are deleted. Web Activity – Internet activity with website URL are monitored. Social Networking Logs – All facebook, Line, Viber, Wechat activity are recorded and monitored. 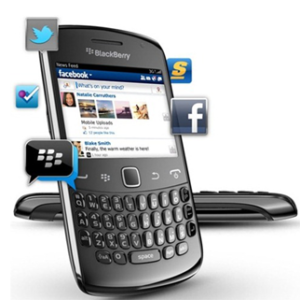 App Installed – You can also monitor all blackberry mobile phone installed apps. YouTube Videos – Link to each video watched are logged. Photo Log – You can monitor all photos taken or stored in cell phone. Application Blocking – Block unnecessary applications remotely. SMS Commands – Monitor all outgoing and incoming text messages with number and time. Live GPS Mapping – Track Current and previous GPS location. Contacts – New and old contacts saved in mobile phone are logged. Live Screenshots – View screen real time activities remotely. Email – All incoming and outgoing emails are tracked. Using Softwaremee control panel you can easily know how to monitor blackberry activity.